This month, we’re bringing you a special edition of our From the Archives department. Below are interviews, all available in the OHC archives, recommended by each of us. Enjoy digging through the crates! Andre Tchelistcheff: Grapes, Wine, and Technology. Some lives in our collection of interviews are just profoundly interesting, and well worth digging into. This might be because of difficulties surmounted, achievements recognized, or simply the quality of the telling. 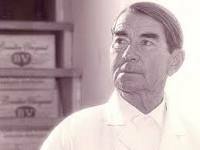 Our 1979 oral history with Andre Tchelistcheff reveals one such life that ticks all of those boxes. From his birth in Russia in 1901, through his harrowing escape during the Revolution, to his years in France studying viticulture, and his decades quite literally remaking California’s wine industry, Tchelistcheff lived a remarkably influential life while remaining rooted in his passions throughout. 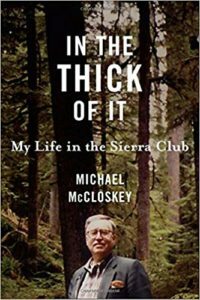 J. Michael McCloskey (Mike McCloskey), “Sierra Club Executive Director and Chairman, 1980s-1990s: A Perspective on Transitions in the Club and the Environmental Movement,” conducted in 1998 and published in 1999, is the second oral history with Mike McCloskey as part of the Sierra Club Oral History Project. Mike, a longtime leader in one of the largest environmental organizations in the United States, discusses the Club’s growing pains associated with an upsurge in membership amid Ronald Reagan’s anti-environmental actions in the early 1980s. Today, in lieu of modern assaults against environmental protections, Mike’s oral history sheds light on ways environmentalists managed those challenges and even expanded their purview to international issues. 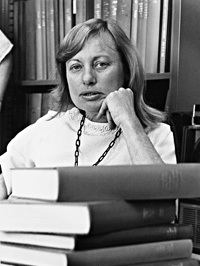 Afton E. Crooks, “On Balance: One Woman’s Life and View of University of California Management, 1954-1990.” This fantastic oral history documents the life of Afton E. Crooks, who pushed the boundaries of women’s roles in both her personal and professional lives. In addition to great stories about her youth and political awakening, this interview also follows Crooks’ contributions to the University of California during a crucial period in the university’s growth. I choose nurse educator and clinical nurse Angie Lewis, who worked at UC San Francisco during the early years of the AIDS crisis. 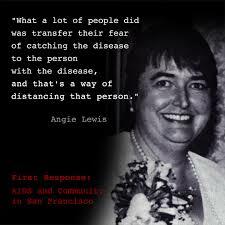 In Lewis’ interview, we really hear what it was like to first learn of this then-unknown disease that was killing gay people in San Francisco in the early 1980s. But we also hear touching stories of the mobilization of community and medical support for those who were suffering from AIDS. David Blackwell: African American Faculty and Senior Staff Oral History Project. 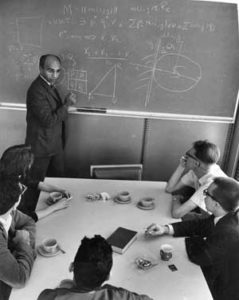 Named after an esteemed mathematician and the first African-American tenured professor at Cal, David Blackwell Hall opened this fall to honor Professor Blackwell. Read more about his pioneering life in his oral history, part of our African American and Senior Faculty Oral History Project. 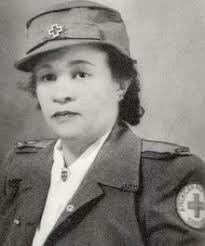 I’d recommend Francis Mary Albrier: Determined Advocate for Racial Equality. This oral history captures the extraordinary life of one of Berkeley’s most prominent citizens, from her leading role in fighting discriminatory hiring in the City’s schools and businesses to desegregating the famed Richmond Shipyards. Moreover, through her oral history, you get a clear view of the many unsung citizens that organized communities of color to collectively push for change. When I was first learning how to conduct longform interviews, I drew inspiration from Willa Baum, former director of the Oral History Center. She was an amazing interviewer, and her oral history interview provided insight into who she was, what drove her, and how she built the reputation of our office.